Whether it’s a mortgage, car loan, or a student loan, don’t make these five mistakes if you are considering a big financial decision that can affect the rest of your life. Making mistakes can make what should have helped you financially turn into a nightmare. By far this is the biggest mistake you can make. Knowing how much money you’re bringing in versus what’s going out the door is a big part of the process in getting a loan. It helps you set the price range on your terms and avoids the costly decision of getting in over your head. Another huge mistake is not getting a loan with a fixed interest rate. People who get a variable rate loan assume a huge risk when it comes to paying it off in their monthly expenses. The reason is that your required monthly payments can increasingly vary every month, and this high volatility can cause you to default on the loan. Annual percentage rates can vary from lender to lender, and that is because APR includes lender’s fees associated with the true cost of the loan. Making a decision on a loan not only involves choosing one with the lowest interest rate, but also one with a low APR. Ignoring this will affect your monthly payments by costing you more money if the APR is high. Getting pre-approved for a loan allows you to be aware of what you can afford versus what the bank will loan you based on financial criteria such as your credit score, annual income, employment history, and the current lending conditions. Not getting pre-approved can steer you severely into excessive debt, or create a sense of false hope in making a big purchase that you ultimately cannot afford. Putting little to no money down on a loan means having to pay higher interest costs and higher monthly payments. What’s more, if you put no money down on a loan, you can end up in a troubling financial situation. With a home or car loan, you can easily wind up underwater or upside down – paying more for the property than it’s actually worth – and it will be difficult, if not impossible, to refinance or sell. Seeking a loan is a big financial decision. Don’t make these mistakes. 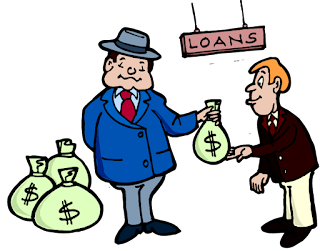 You can also learn more about personal loans in this article.